What are King Metal Works’ current offerings in the tableware segment? We offer Square Napkin Dispenser in steel. Only plastic one was available in the market, which had the disadvantage of light weight, hence when you pull paper napkin, along with it whole dispenser lifts up. Besides it easily gets damaged, once it drops from the table. Our Pattern Application is pending for registration. 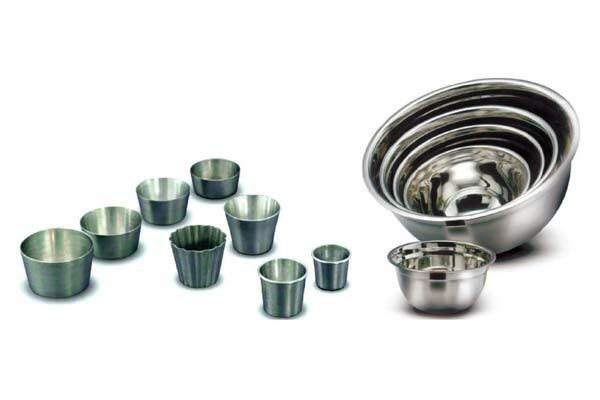 We already started selling S Steel Miniatures like kadai, sauce pan, buckets, milk can, roasting pan with grill risers in polish finish, copper finish, powder coating (different colours) finish. This is new concept which has been accepted by the industry very quickly. Besides above, we have a huge range of tableware which you can view on our website kingmetal.com. What are the new tableware product launches planned by the company? Next month, we are launching S S Flatware with superior quality grade (18/10) mirror finish S Steel with unique design, consisting tea spoon, table spoon, soup spoon, desert spoon, fork and knife. What are the company’s views on new innovations in the tableware industry? Innovation is a continuous process. Industry gets every year new innovative products. Our designers innovate products with user-friendliness in mind. Existence will become difficult for those companies in the industry which will not come periodically with innovative products.